Euronews' Alasdair Sandford tells the story of one British army officer sent to the US in April 1918 to recount his experiences from WWI, part of a drive to raise funds via the 'Liberty Loans' campaign. This soldier was Alasdair's grandfather. 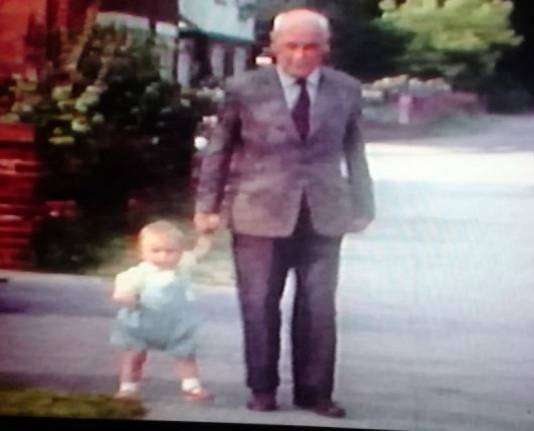 “The object of your journey is… to quicken the interest and enthusiasm of the American people for the war by the narration of your personal experiences,” explained the letter marked “secret” from the British Ministry of Information to my grandfather. A hundred years ago this month, Major L. Gordon Sandford — an Australian who had fought with the British army in France and Belgium and had been injured — duly sailed to New York. 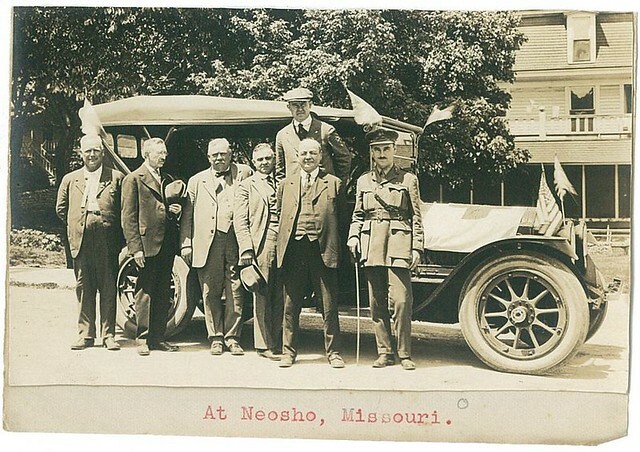 He was one of several officers sent to the United States to help raise money for World War I which America had joined the previous year. Specifically, he was to take part in the latest “Liberty Loan” campaign. April 5, 1918, saw the launch of the third of four Liberty bond schemes — effectively loans from people and organisations to the government which would later be repaid with interest. Increasingly, the financial burden for the war against Germany was falling on Washington, and the bonds — often obtained by accumulating war savings stamps — were a way of spreading the cost as widely as possible. Despite massive publicity and appeals to a sense of patriotic duty (Charlie Chaplin even made a short film “The Bond”), the first two Liberty bonds had raised insufficient funds. The third offering more than $4 billion had still more promotion. The next six months took the major on a tour of the Midwest, Colorado and also West Virginia. Gordon Sandford spoke to crowds ranging from a couple of hundred to several thousand, describing life on the battlefields of France and Belgium. “Britain is impoverished. Her trade is gone, she has placed seven million men on the firing line… it is up to America,” he told one meeting in Missouri, encouraging people to support the Red Cross. 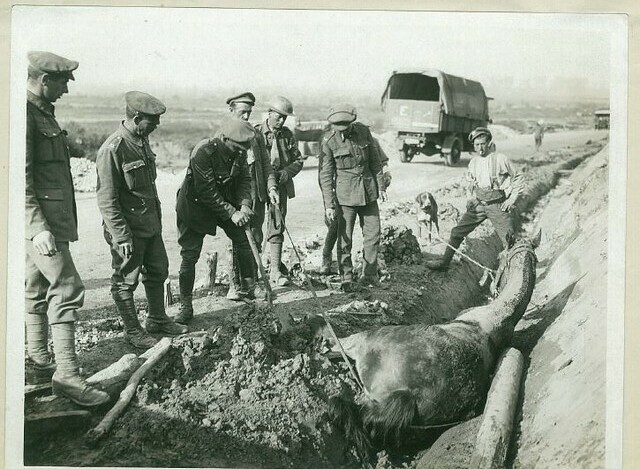 Its workers are singled out for praise — “humanity in its finest form” — not least when the major himself was injured. 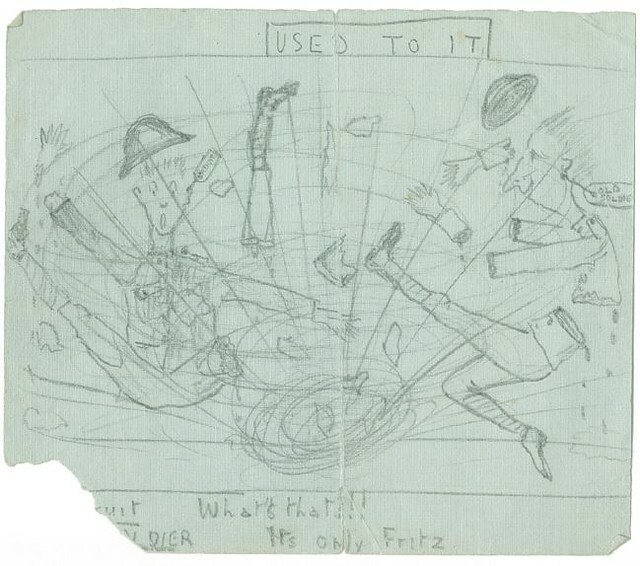 A scrapbook of local newspaper reports, as well as his own sketches and photos from the trenches, reveal details that he never spoke of afterwards. “The speaker related gruesome stories of bodies dismembered; of bodies eaten by rats and vermin; of stench of decaying flesh; of detached fingers, hands, limbs; of crushed, maimed and bleeding men; of men suffering tortures and begging officers to shoot them; of his own feelings when one of his best men was disemboweled and, dying, begged to be killed, and how the death of the man saved him from making such a terrible decision,” reported the Joplin Globe in Missouri. We hear about gas attacks: “used extensively in the war now by both sides,” he says, which made his head feel “two or three times as big”, but which at least had a rather fortunate side-effect in that they killed rats. Amid the horror there is humour. An attempt to draw German fire, by hosting a dummy wearing a service cap above British lines, fails. “Fritz (as the Germans were nicknamed) had fallen for the joke and had literally one better. Above the German lines waggled two of the dummies,” recounts my grandfather as reported by the Grand Junction Daily News. Recalling people he knew in Australia before the war, “some are buried on the plains of Africa, some have fallen in the sand dunes of Palestine and Mesopotamia, and others are rotting in the shell holes of Belgium and France. Scarcely one of them is left alive,” the major tells one meeting. 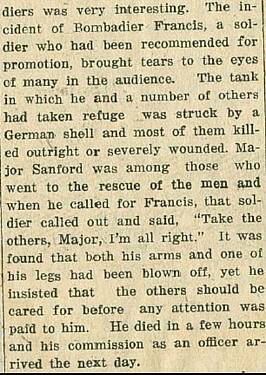 During the tour there are reminders via the press that there is no let-up in what one paper calls “stupendous” losses in men on the battlefield. In June 1918 we learn that “on the west front last week (the allies) lost 38,000, and the previous week 48,000”. The end of the summer brings encouraging news from the front. 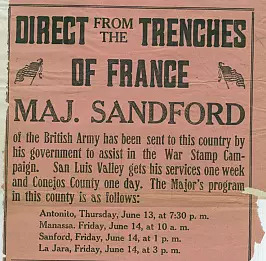 However, “It is only when the German armies will surrender unconditionally, that there will be any talk of peace terms,” Major Sandford tells an audience in Cedar Rapids, Iowa. We glean something of the political and social context of the time from the tour. With Ireland in the midst of its drive for independence, the British government warns he may meet some hostility from Irish-Americans — while campaigners for prohibition may seek to portray the British people as “permeated by intemperance”. A letter from the US Treasury Department at the end of the tour refers to “difficulties… due to the influenza epidemic that has struck a large part of the country”. The flu pandemic would go on to kill many more people worldwide than the war itself. 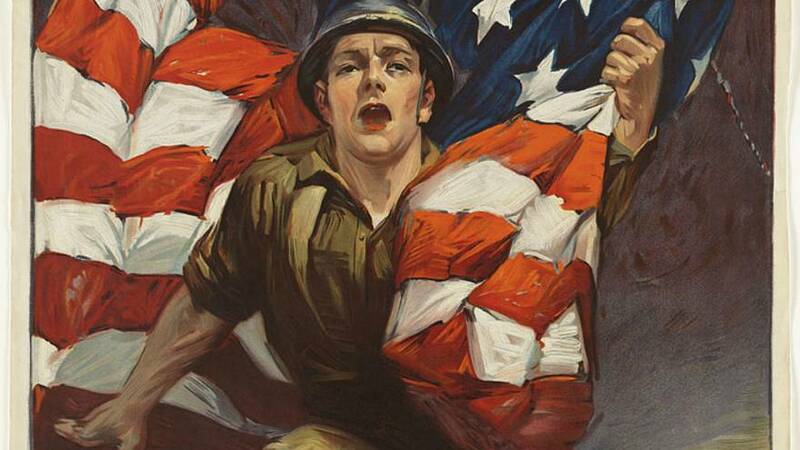 A fourth Liberty loan was launched in September 1918, followed by a fifth after the war ended. The various bonds reportedly raised around $17 billion for the war effort; the overall cost of World War I to the US federal government has been estimated at over $30 billion. 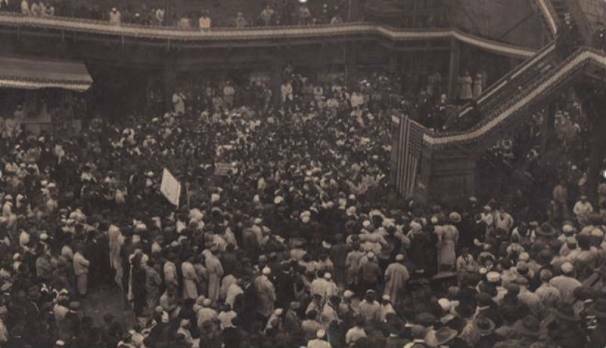 The newspaper reports speak of enthusiastic crowds, and the end of my grandfather’s tour brought letters of appreciation and “gratifying” loan pledges. 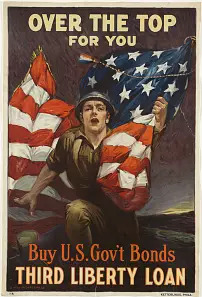 Patriotic appeals, and no shortage of anti-German material, peppered the Liberty Loan campaign. Some research has suggested that such messages had less of a motivating effect regarding the loans than previously thought, and that many were taken out by institutions rather than individuals. 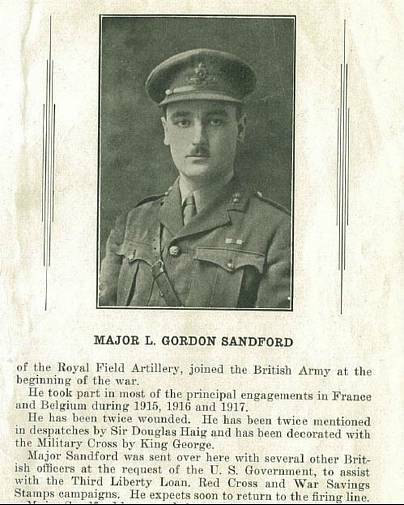 Gordon Sandford arrived back in England in November 1918, three days before the Armistice was signed to end the war. He settled in London and died in 1965, aged 80.